Equally important in the selection of a professional photographer to photograph the most important day of your life, so too is the contracting of an experienced wedding videographer because once the event of a lifetime has ended, the photos and video are the only components remaining to visually recount the day in the years to come. Since cameramen vary in expertise, it is paramount to be geared with the right arsenal to discern the accomplished attributes and the nondescript of potential production studios you’re considering for hire. In other words, be prepared to ask the right questions to qualify the candidates. 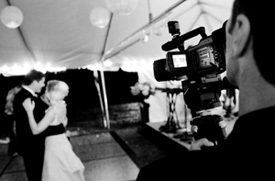 How much experience do you have in videotaping weddings? Are you familiar with and have you shot at our designated ceremony and reception facility? Can we view an actual wedding video rather than just highlights? How many cameras do you utilize during the event? Will each video camera be manned or simply placed on a tripod unattended? Will you have unobstructed views during the entire ceremony from where you will be positioned? Do you use high definition cameras? Will the final product received be delivered on a standard definition DVD or Blu Ray? How many copies of the disc will I receive and how much are additional copies? Should your equipment fail, do you have backup gear? How do you typically dress for a wedding? What is the total price of your video package and how many hours does it include? 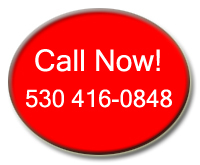 What are your charges for additional time beyond the contracted? Does the final edited version include a short clip highlighting the day? Are we able to choose our own music for the video highlights? How long after our event will it take to receive the video? Can we obtain all the raw footage? Do you have references from recent brides and grooms you videotaped? An additional tip worth consideration if budget concerns arise is to eliminate unnecessary or unwanted offerings such as an engagement love story, a baby montage of the bride and groom (ordinarily used as the video preface), scrolled titling, and other inconsequential appendages. In short, stick with the substance of importance – coverage of the entire ceremony and the main events at the reception. Presenting the regimented questions to the contending videographer and receiving apposite answers is a sure-fire way to get a dazzling artifact you’ll want to watch more than once. 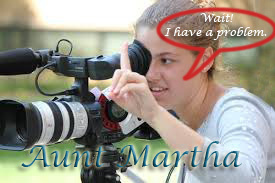 Although it may be a temptation to accept Aunt Martha’s generous offer to shoot the event for free and, in doing so, avoid the cost of a professional, chances are the end result will not compare with the true expert’s version of the performance. Trained videographers use camera and editing techniques that exceedingly surpass mere layperson’s abilities. So, when decision time arrives to employ or forgo a pro, keep in mind that your wedding will happen only once and a second opportunity won’t be a possibility. If it’s within the financial plan, experience behind the lens is the way to go. 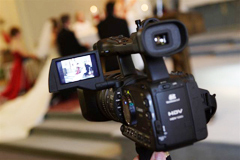 To gain insight to what constitutes a typical wedding video package and cost for filming a simple ceremony please visit our website.